Carol Dweck's work on growth mindset and its power to help people view challenges as opportunities to improve has helped many students understand their beliefs about themselves. When empowered with the understanding that intelligence is malleable, students can develop how they approach school and life. But the revelations around mindsets don't end there -- they apply to other areas of education, including how students view and react to stress. There is a lot of research about how stress negatively impacts health, cognitive functioning and self-control, but less often discussed are how those findings change when people see their stress as a positive motivator. 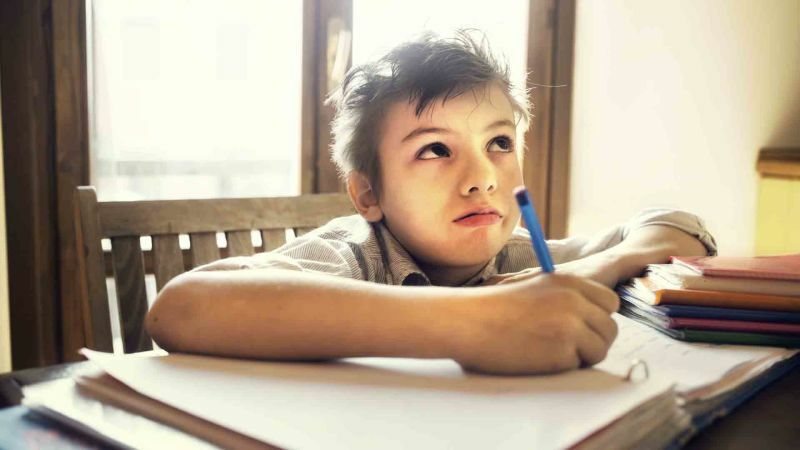 “In a number of situations, accepting and embracing the stress instead of trying to calm down helped students to do better,” said Kelly McGonigal, a health psychologist and lecturer at Stanford University at a Learning and the Brain conference on mindsets. McGonigal defines stress as “what arises in your body, in your brain and in your community when something you care about is at stake.” She acknowledges that stress can make some people feel paralyzed and might lead them to underperform. She calls that reaction a “threat response” to stress, but says if educators can help students to have a “challenge response” to stress, which includes the realization that they have the resources to handle the situation, the stress can actually energize students to do better. This more positive approach doesn’t negate the very real effects on the brain from constant high levels of stress. McGonigal is clear that the first priority in any situation is to relieve suffering. She says it’s useful to help students learn tactics to calm down in the moment, like mindfulness or other cortisol-reduction exercises, but those strategies aren’t enough on their own. Life is stressful in big and small ways; rather than trying to erase stress from life, it may be beneficial to approach inevitable stress more positively. “There is almost no relationship between the amount of stress you are under and your stress mindset,” said McGonigal. Learning tactics to change one’s outlook on stress can be beneficial for anyone. “How you think about stress seems to influence how you cope with stress,” she said. When people try to avoid stress or stressful situations, they often behave in escapist ways. They look for distractions or use coping mechanisms like drinking to deal with the stress they feel. Conversely, people who have a more balanced or welcoming approach to stress tend to be more proactive. When they start to feel stressed out, they are more likely to address the source of the stress, ask for help, talk about their stress or even find the humor in it. When students learn to think about stress in this more positive way, they can actually use it to improve learning, to find purpose and to form stronger emotional connections to others, McGonigal said. In her popular TED talk, McGonigal describes how the stress hormone oxytocin primes people to take action and makes them crave closeness. Even as the body is releasing adrenaline and cortisol that produce anxious feelings, it is also releasing oxytocin, which can help people build resiliency against that anxiety. McGonigal views the dual nature of the body’s stress response as an opportunity. She suggests three interventions to help students (or anyone) change their approach to stress and create resiliency in the face of anxiety. To help people reset their mindsets about stress, encourage them to care for others. The biological reaction to stress naturally includes a desire to connect with others. Nurturing that inclination can dramatically reduce the harmful negative effects of stress. A study done at Yale in 2015 asked 77 adults to report every stressful event that happened to them each day, including work, school, interpersonal or financial stresses. They also kept track of all the times they helped someone throughout the day. Finally, every day the subjects took a mental health well-being test because researchers wanted to see how caring behavior affected well-being. They found that on stressful days when the person had engaged in few acts of kindness, mental health tanked. But when the person experienced a lot of stress, but also helped others, often their well-being stayed even. Even something as simple as a visual reminder, like a wristband, to be compassionate toward others can have surprising results. It reminds kids that their teachers and parents value caring as much as academics, and gives them a sanctioned reason to point out compassionate behavior in others, as well as practicing it themselves. At the University of Illinois researchers studied how purpose in life related to happiness and mood in 222 college students. They found that students with low life-purpose were satisfied with their lives when they were happy, but very unsatisfied when their mood was low. In contrast, students with high life-purpose were satisfied with their lives whether or not they were having a bad day. Their purpose created resiliency. “People who have a meaningful life worry more and have more stress than people with a less meaningful life,” McGonigal said. But that isn’t necessarily bad. People feel stress around things they care about, so when they have a high sense of purpose they naturally experience more stress. “Stress and meaning go together,” she said. She’s convinced that how we think about stress in relationship to meaning will determine whether we’re on the stress-induced heart attack side of stress or the energized, motivated side of stress. To increase students’ sense of purpose, McGonigal suggests teachers simply ask students to reflect on a series of questions that help illuminate their values. Studies on simple self-affirmation exercises like this one can have dramatic impacts on how students view their ability to handle difficult situations. “It has been shown to increase students’ ability to see the meaning when they face stress or adversity and have a sense of themselves as adequate to the challenge,” McGonigal said. Here’s where growth mindset comes back into the story, because thinking of challenges -- no matter the context -- as learning opportunities can reframe even the toughest experiences. Researchers at the University of Southern California asked 564 alternative high school students about the worst experience of their lives. Many teenagers have already experienced really terrible things, including sexual abuse, cancer and homelessness. “Kids in the study had experienced real adversity, in additional to typical teenage adversity,” McGonigal said. The students were then asked how that experience affected their personal strength, compassion, activities, closeness to others, spiritual understanding, handling difficulties, direction in life and appreciation for life. On every measure students reported a positive change because of the terrible experience. “Typically, human beings learn and grow from even the experiences we’d want to protect them from,” McGonigal said. Carol Dweck’s work has shown how important this growth can be in the academic world, but it can be true about stressful life events, too. The group that thought about that painful experience without the intervention, however, exhibited signs of toxic stress. All these studies demonstrate that how students think about and perceive their experiences are very important to how their bodies react to the resulting stress. “If you are able to look back on your life and tell yourself a story about your stress that includes how you learned from it, it continues to create a narrative of strength, learning and growth,” McGonigal said. An easy intervention to help students build a growth mindset about stressful situations is to break into small groups and share stories of facing challenges and persevering through them. The stories don’t have to be academic, but it should be a time when the student got better at that skill or learned something. Then students can write about the strengths they drew on, reflect on who or what supported them, and think about what they learned and how they grew. This is particularly powerful when adults share, too. Sharing with a group can help students see that struggle is common to everyone. It can also help highlight different strategies people used in those moments of adversity and how productive challenges can be. “The most effective mindset interventions start with a new idea, some science, and then you have people talk about it,” McGonigal said. When students can relate the idea to their own experiences, it becomes much more powerful. “When we are anxious, stop interpreting it as a sign we are inadequate and start seeing it as a way we can rise to the challenge,” McGonigal said. To her, the best of these three interventions is that they can help convert mindsets about stress, even when a person isn’t conscious of it. Like mindfulness training, these strategies can shift the narrative and subtly color experiences of stress going forward.